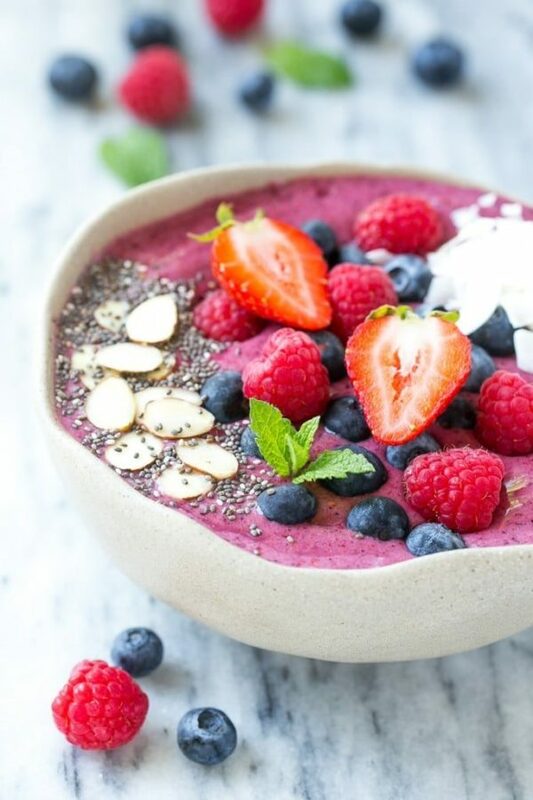 Here’s the ultimate guide for How to Make a Smoothie Bowl that’s scrumptious and healthy! 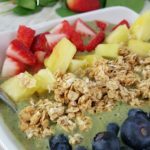 Smoothie bowls might not be your first thought when it comes to breakfast recipes, but it is an amazing way to start your day with loads of healthy foods. I’ll show you How to Make a Smoothie Bowl in just six simple steps, and you’ll be hooked! All your need are a few yummy ingredients and a blender. 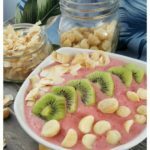 What Tools Do I Need to Make a Smoothie Bowl? 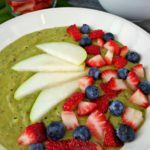 How Do I Thicken My Smoothie Bowl? 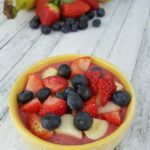 How Many Calories are in a Smoothie Bowl? 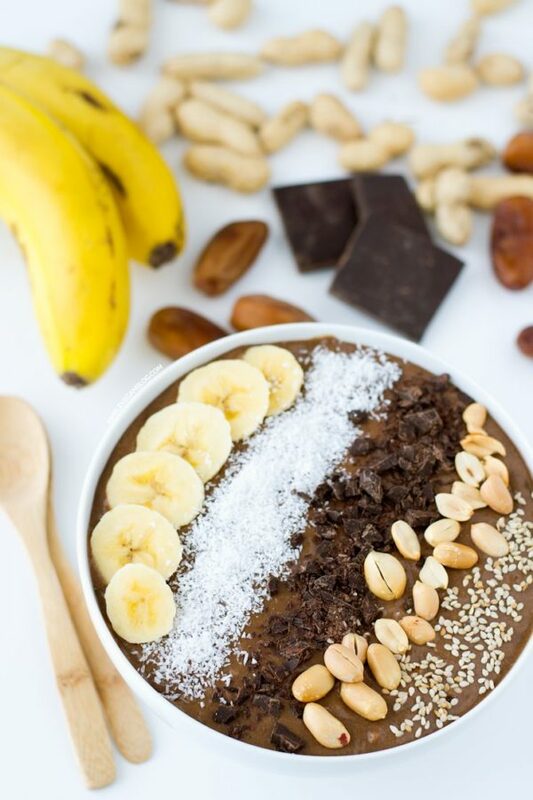 How Do I Make an Açaí Bowl? 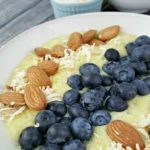 This Banana Blueberry Almond Smoothie Bowl is the perfect example of how to make a smoothie bowl. It’s got just a few simple ingredients like a ripe banana, vanilla yogurt and a splash of almond milk. On top, I have dded whole raw almonds, fresh blueberries and shredded unsweetened coconut. This is just one of millions of combinations you can create – your imagination is the only limit! Making a smoothie bowl does not require a ton of fancy equipment, but it is important that you have a really great blender. Blenders without enough power or with dull blades will be unable to produce a smooth and creamy consistency. There are a lot of blenders out there, and some are super expensive. For my money, I love this Hamilton Beach Blender which we use daily. It works so well and even has a smoothie setting. In the bottom of the blender, start with 1 cup of liquid as a base. Add a tablespoon of a sweetener and/or a nut butter. 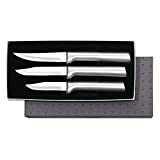 Adjust to your own taste preferences. Add in 1 cup of fresh or frozen fruit. Blend the mixture slowly until smooth and creamy. If the mixture is too thick, add a splash more liquid a little at time. 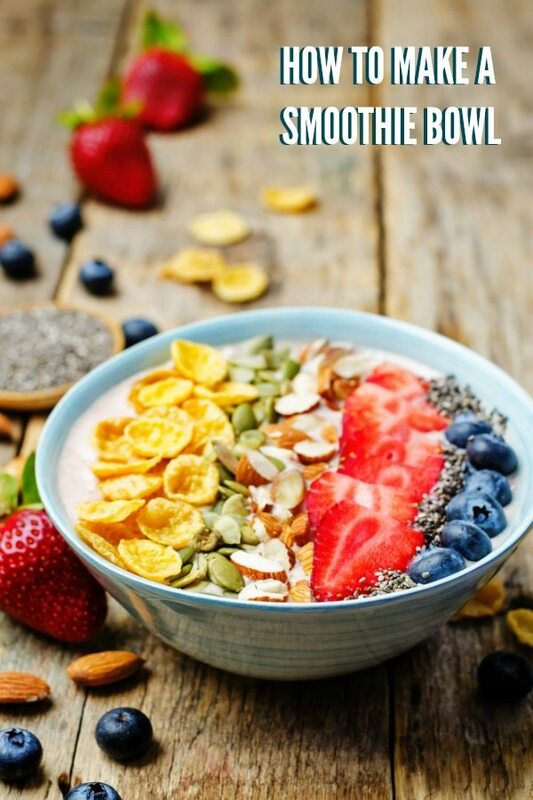 Pour into a bowl and add toppings with a variety of textures to compliment the flavors of your smoothie bowl. The key to a good smoothie bowl is to get both the flavors and the consistency right. You do not want to have a bowl of thin smoothie, you want a thick luscious mixture that you can dig into. 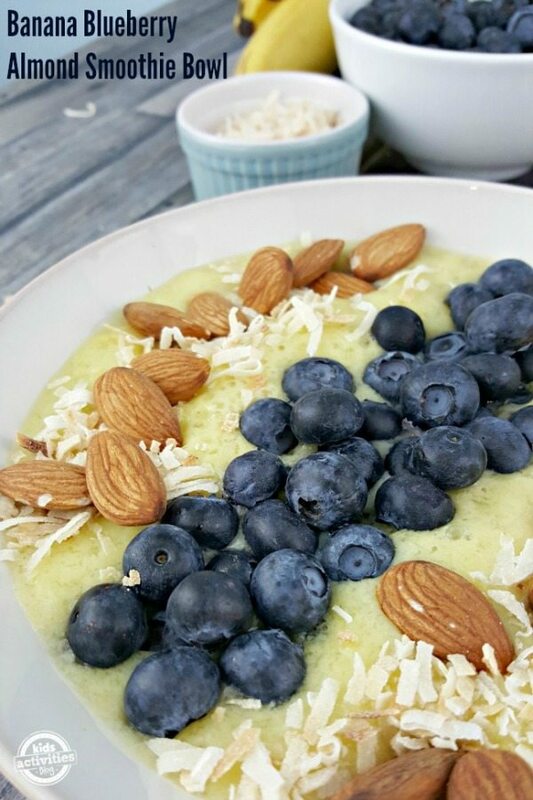 Avocado and banana are both great for thickening a smoothie bowl. Instead of topping your smoothie bowl with chia seeds, put them in the mixture. 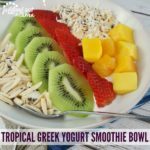 Yogurt is another great natural thickener. 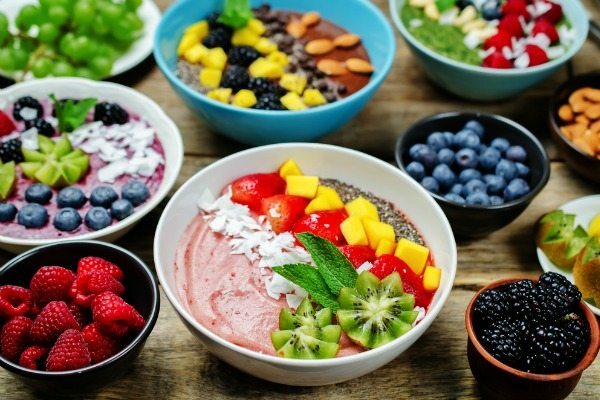 The amount of calories in a smoothie bowl will vary depending on the type of ingredients you put into it, and the toppings you add. If you’re watching your caloric intake, you will want to limit the amount of certain ingredients. 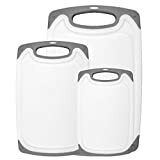 For example, the average cup of granola is about 600 calories, so use just a couple of tablespoons, or skip it in place of a lower calorie item like rice cereal, which has about 100 calories per cup. So much good info here, thank you!! totally Pinning this!